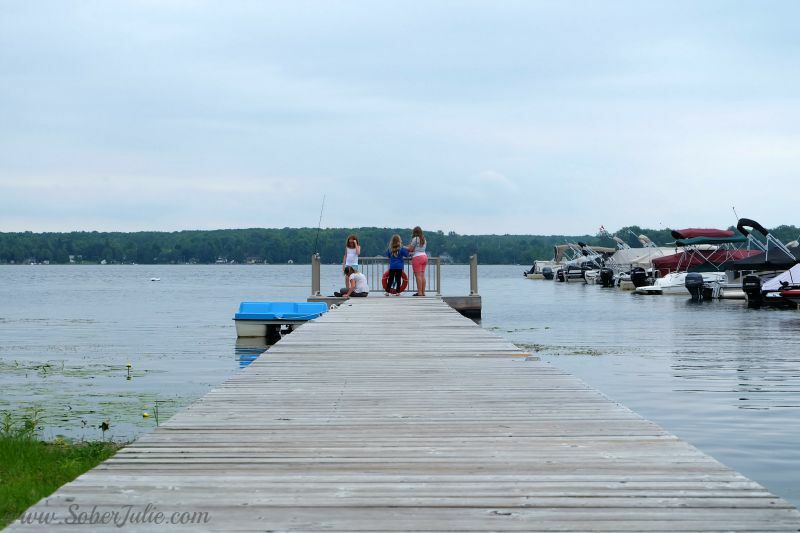 One of my dreams is to own a cottage…oh how we love getting away from it all and relaxing. The reality is that dream is far out of reach for us as the opening rate for cottages in the areas we’d like them is well over $400,000 these days. There is another option though, one that is more affordable and even provides some bonuses that traditional cottage ownership doesn’t have. Recently we were invited to spend a weekend at Parkbridge Melody Bay in return for sharing our opinions with you here. This weekend has lent me some insight in the new way to own a cottage. 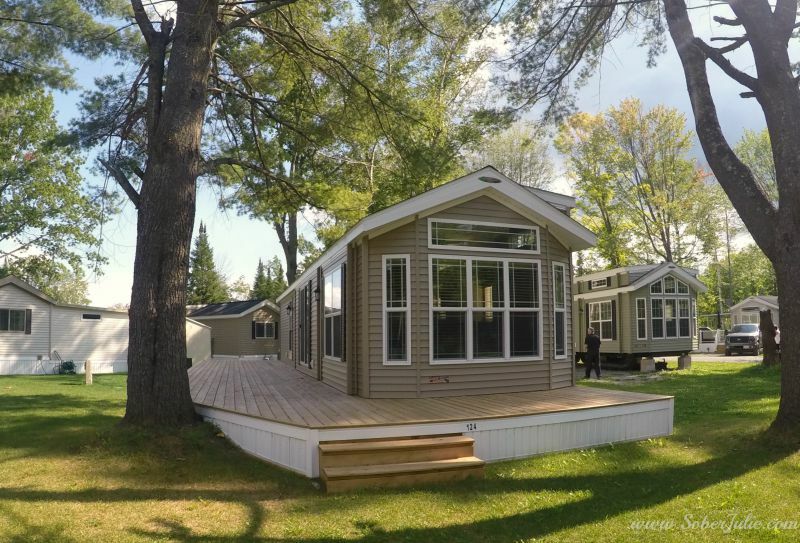 Let me give you all the low-down and show you around Melody Bay so you can get an idea of what I mean when I say that this type of cottage ownership has some bonuses. 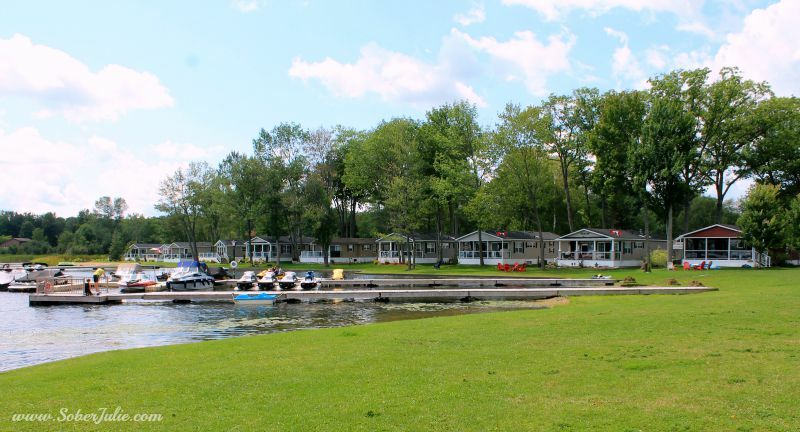 Melody Bay is an upscale cottage resort is a mere 5 min​​​​utes from the artistic haven of Buckhorn, on the Trent-Severn Waterway and offers an extended season from April 1st to November 15th. 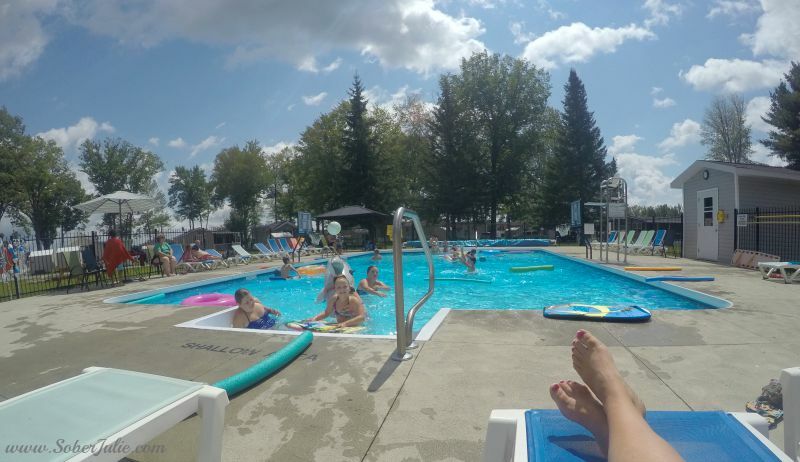 When you purchase a cottage at Melody Bay you’re not just getting the cottage, you’re getting a ton of activities, amenities and grounds keeping. 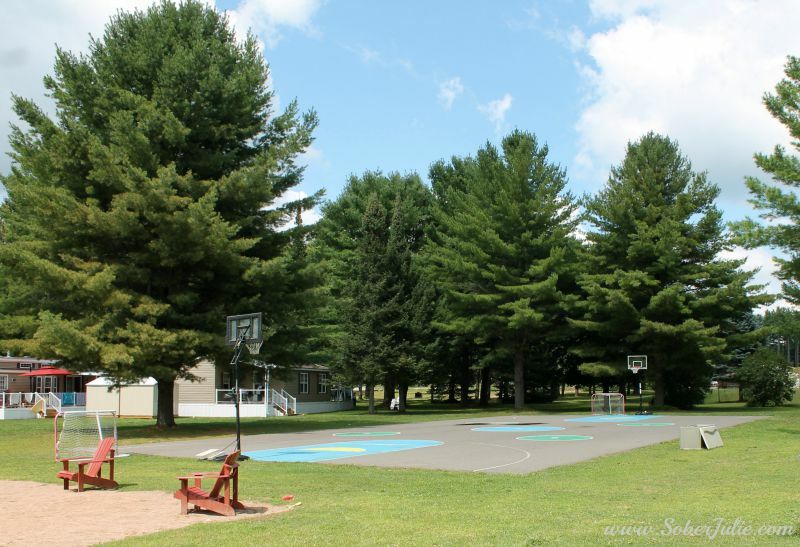 These are beautiful units with wide 50′ lots which are quite private and well treed. 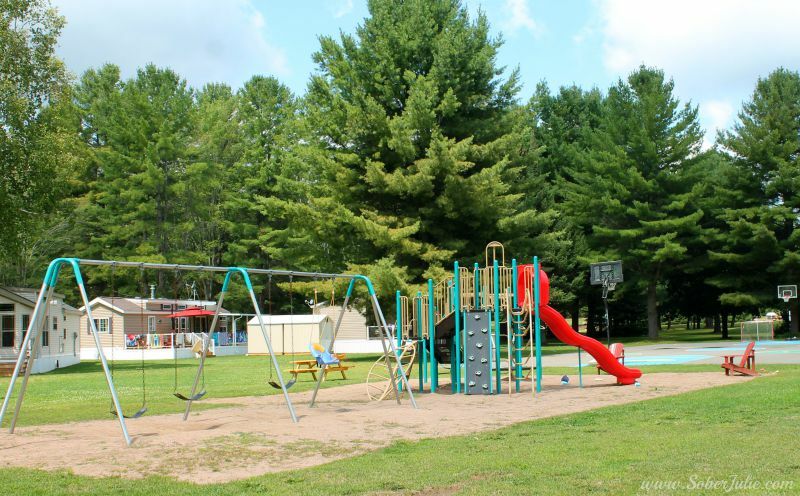 Each of the lots have different seasonal fees associated, all of which give you access to the facilities. 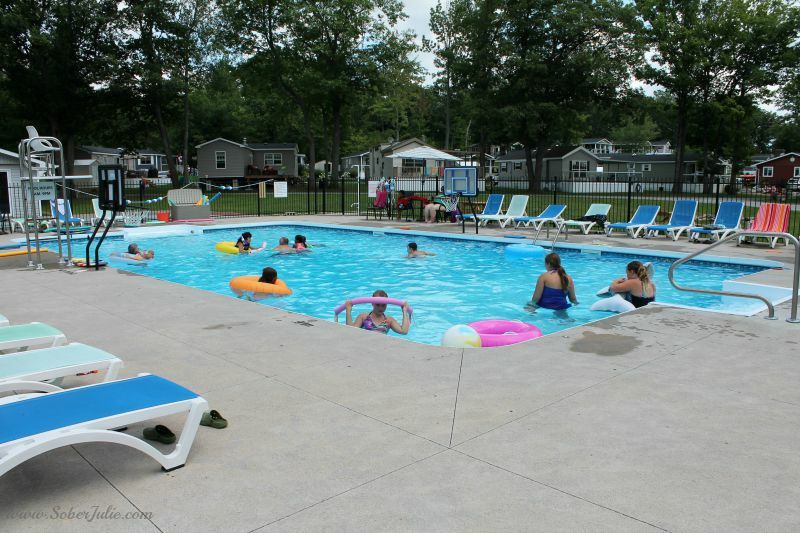 This is the kid-friendly pool which is stocked with floaties, basketball nets and other toys for the kids to enjoy. The other pool is a more laid-back one which is for ages 12 and up. The beaches were nice, many people had docked their boats and seadoos nearby and oh how I wished we could get out on that glorious water! The four little ladies who joined me for the weekend love to fish! This was their favourite spot and I sat back on the shore with a good book as they enjoyed their fishing time. How incredible is that view! I’d love to have a cottage right there on the water. Kids’ Clubhouse filled with toys and games! Parkbridge prides itself on creating cottage communities and at Melody Bay they’ve done just that. 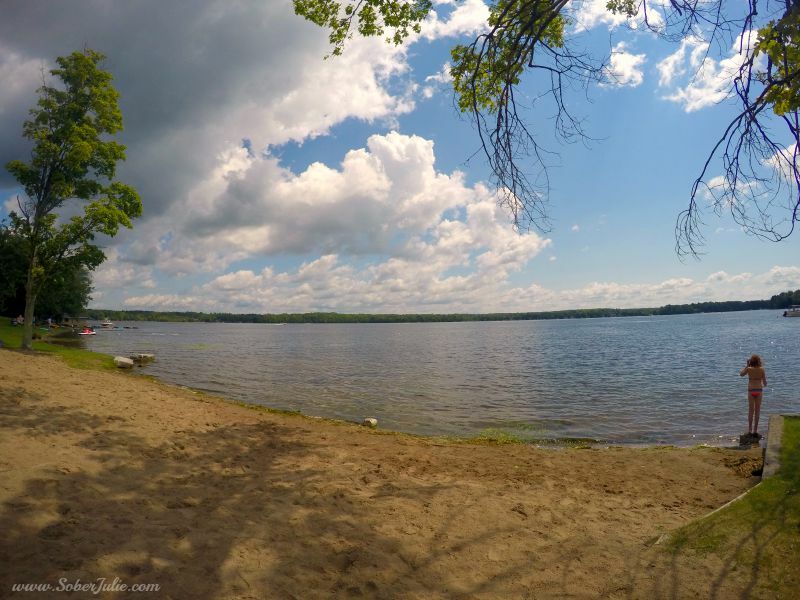 I had the pleasure of meeting many of the cottagers and each speaks highly about the resort. They say that they love having most everything taken care of for them. They hop in their cars on the weekends and drive to Melody Bay to truly relax. The most work one lady said she does is to plant her flower beds…now that I could handle. If you’re pining for a cottage, I sincerely suggest you reach out to the fine folks at Melody Bay. They are super helpful and go out of their way to show you what their resort has to offer. Connect with them on the Parkbridge Melody Bay website, Facebook or Twitter. Looks nice! We knew we could never afford a cottage so opted to purchase a park model RV and have it set up on a Seasonal Site (so similar idea) and we love it! Owning a cottage is definitely one of our dreams. I hope you achieve yours soon! Owning a cottage is one of my dreams also.